Been wondering why I’ve felt it necessary to volunteer myself to work on Saturdays, usually in exchange for a different day off throughout the week. And last week’s birthday had me feeling the need to ‘go spend money’ – usually on fabric. So realistically, I haven’t really been around. 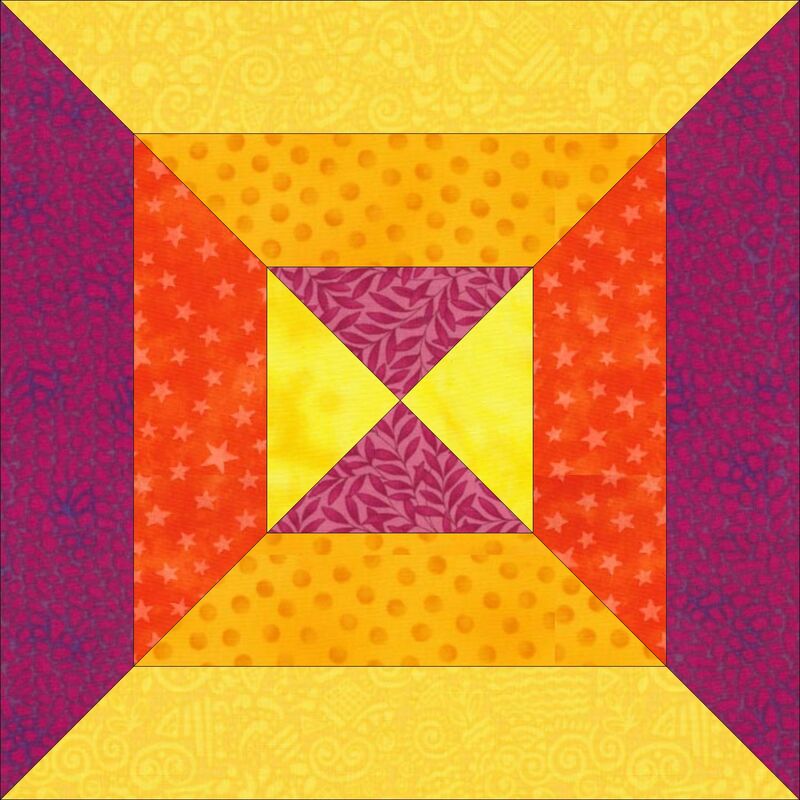 I have finally finished my blocks for the Journey Steps, but I still need to ‘square them up’, make them look pretty, and pray that most of them don’t come back unswapped due to seam allowance failures. And I keep imagining doing more projects, more of the swaps that are on the sew many swaps board have been catching my eye, even though I was ready a month ago to say 2 and that’s it. As I was on my ‘fabric bender’ this past weekend, I visited a shop I haven’t been to before, and a shop I’ve only been at once – a year and a half ago. I found the hexie batik fabric and determined it would be perfect for the borders / backing? 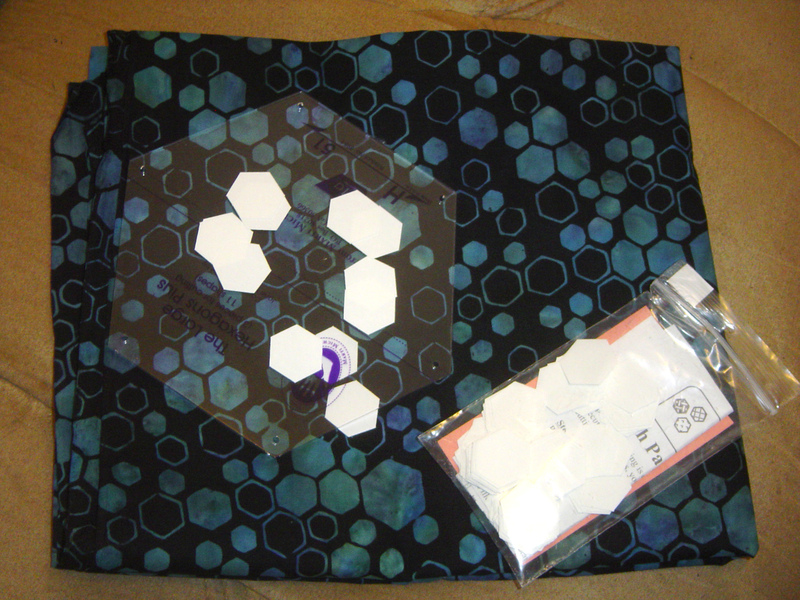 of my next scientifically-based podcast project, and then I saw the tiny 1/2 inch hexies and decided huzzah, they would also work for the project better than the larger marti michele piece that I bought a few months ago. 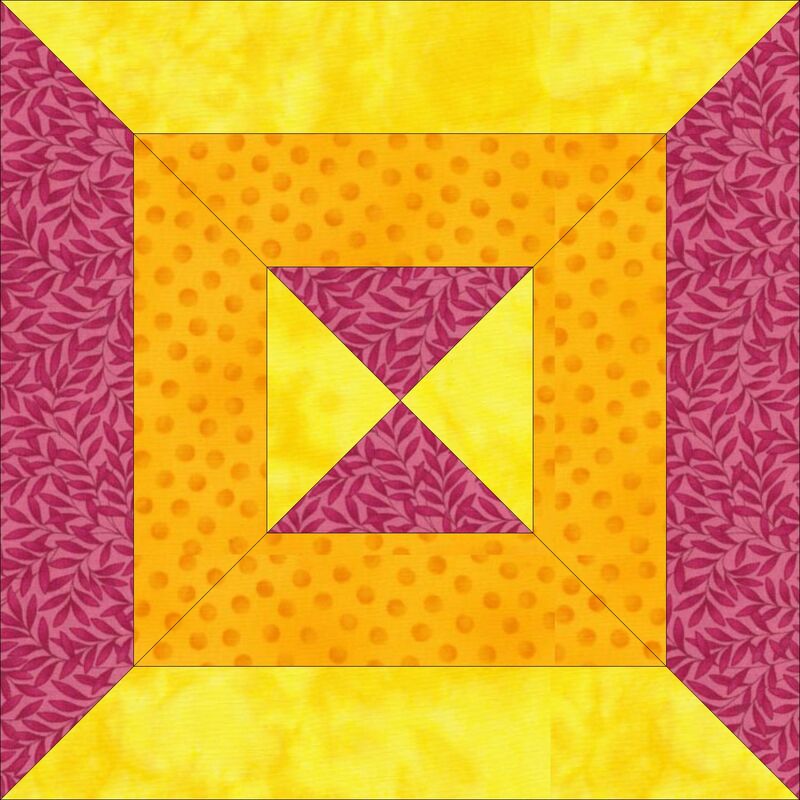 I also started gathering fabrics for a swap based from reds/oranges/yellows, even though I haven’t signed up yet for the swap, the block will be easy like the strip twist block only using 3 fabrics each strip set instead of 4. And there is less chance of getting these switched backwards, although I have a suspicion I will want to cut up the blocks I receive and then reconstruct it like a bento box kind of design. Some of the possible cutting will be determined by the swap hostess’s answer to my question about the alternating blocks in the middle. From the instructions that are currently available, I think the swap is intended to be done with the same 3 fabrics instead of scrappy like the picture above, more like this picture below. So if I receive blocks like this, I can maybe cut each block vertically and horizontally and then swap out the different quarters that way. That and there is a simple black and white square in a square swap that is also catching my eye. But I only have 1 black fabric with white, and one white fabric with black that is actually quilt shop quality. But if there are 6 people in the swap then I will at least get back 12 different blocks if I only do 1 set, then I can do it without spending any more. It may even be a good way to really start ramping up paper piecing techniques. The last thing that I’ve been planning and buying for, is the pink castor and pollux quilt that I posted about a few posts ago. I bought the light pink background that I am going to use, and now I am awaiting it’s arrival. In any case, with all the shopping, working saturdays, and future quilt planning, and swapping, I am feeling exhausted. Since I typically need a saturday to gather my thoughts, and a full sunday to podcast / edit / music /etc, you’ll understand why one isn’t posted here today either. Working on National Quilting day was non productive for furthering along my quilting, but it made me feel good to help someone else have a day off. And I got to visit a sweet shop that I hadn’t been to before.